It's been a while since we had a Photoshop Tutorial. So I thought I needed to come up with something really awesome for you, and I think I just might have! 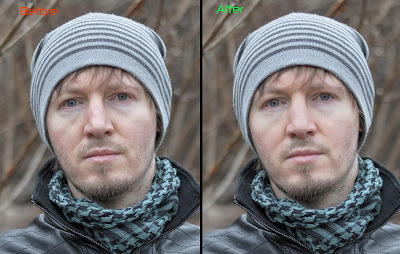 Long-time readers might remember my smoother skin Photoshop procedure, which is what I regularly use for professional use. However, I was looking for a procedure that gives me a starting point, something I can work with faster. Perhaps even in a more batch-like way. Not all images need lengthy retouching using a brush and painstakingly adjusting minute details. Sometimes, you just need a basic, clean, fast and natural-looking workflow. Today I will show you how to use Photoshop to improve skin textures on your portraits in two minutes or less. The procedure is something I have come up with myself, and it involves using the "color selection" and "stroke" tools of Photoshop. Without further delay, let's begin. Open your image. Duplicate the layer. It's always a good idea to work on a layer rather than on the background. Easier to correct mistakes, easier to fine-tune. From Select > Feather, choose a value of about 10. You can experiment, this really depends on the size of your selection and the image. Err on the side of more, rather than less. You're all set! The result should be very subtle and natural-looking (remember, less is more). If you think it's too subtle, go back to step 2 and try to select a slightly larger area (e.g. 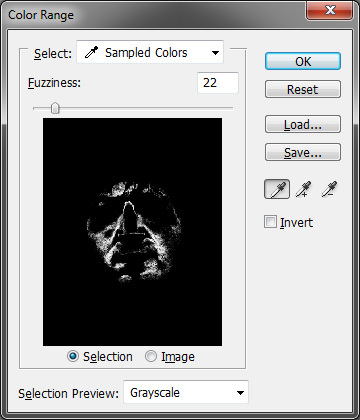 through adjusting fuzziness), or adjust the amount of feathering.